This greeting card signature stamp is ideal for anyone who wants to send out a large number of cards. Instead of writing the same signatures on numerous cards, simply stamp your signatures or well wishes quickly and efficiently on the cards - perfect for Christmas. Create your stamp design by clicking on 'create your layout'. Then you can either choose to modify one of the existing templates or you can create your own from scratch. If you have a design ready to go, simply click 'upload your layout' and upload it to the site. Choose from 5 ink pad colours: black, blue, green, red, and violet. 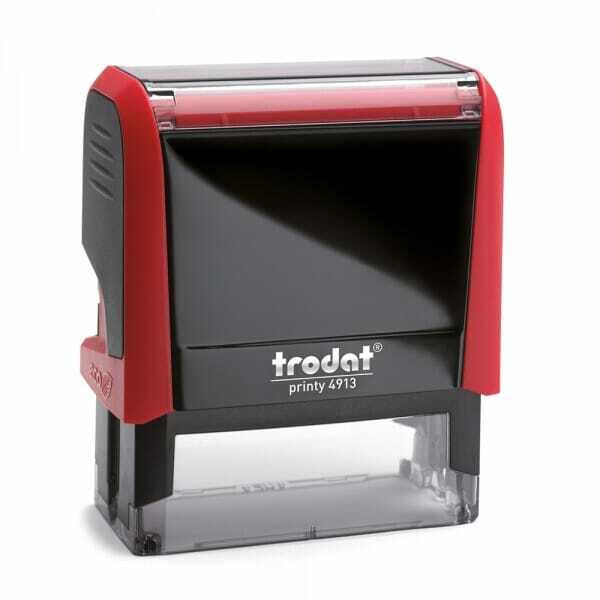 The stamp model is Trodat's Printy 4913, which will last for thousands of impressions. Replacement ink pads are also available under the number 6/4913. Customer evaluation for "Greeting Card Signature Stamp"